Sir Isaac Newton PRS MP (; 25 December 1642 – 20 March 1726/7) was an English physicist and mathematician (described in his own day as a "natural philosopher") who is widely recognised as one of the most influential scientists of all time and as a key figure in the scientific revolution. His book Philosophiæ Naturalis Principia Mathematica ("Mathematical Principles of Natural Philosophy"), first published in 1687, laid the foundations for classical mechanics. Newton also made seminal contributions to optics and shares credit with Gottfried Leibniz for the development of calculus. 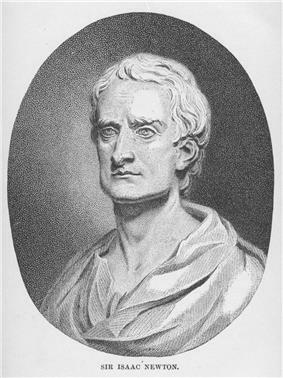 Newton's Principia formulated the laws of motion and universal gravitation, which dominated scientists' view of the physical universe for the next three centuries. By deriving Kepler's laws of planetary motion from his mathematical description of gravity, and then using the same principles to account for the trajectories of comets, the tides, the precession of the equinoxes, and other phenomena, Newton removed the last doubts about the validity of the heliocentric model of the cosmos. This work also demonstrated that the motion of objects on Earth and of celestial bodies could be described by the same principles. His prediction that the Earth should be shaped as an oblate spheroid was later vindicated by the measurements of Maupertuis, La Condamine, and others, which helped convince most Continental European scientists of the superiority of Newtonian mechanics over the earlier system of Descartes. Newton also built the first practical reflecting telescope and developed a theory of colour based on the observation that a prism decomposes white light into the many colours of the visible spectrum. 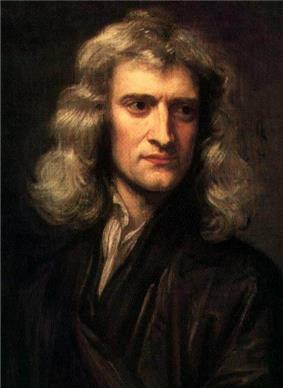 He formulated an empirical law of cooling, studied the speed of sound, and introduced the notion of a Newtonian fluid. In addition to his work on calculus, as a mathematician Newton contributed to the study of power series, generalised the binomial theorem to non-integer exponents, developed Newton's method for approximating the roots of a function, and classified most of the cubic plane curves. 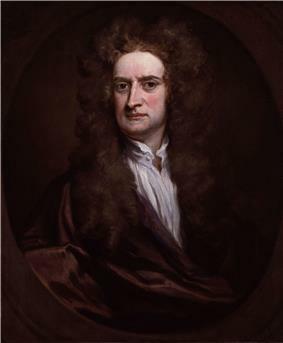 Newton was a fellow of Trinity College and the second Lucasian Professor of Mathematics at the University of Cambridge. He was a devout but unorthodox Christian and, unusually for a member of the Cambridge faculty of the day, he refused to take holy orders in the Church of England, perhaps because he privately rejected the doctrine of the Trinity. Beyond his work on the mathematical sciences, Newton dedicated much of his time to the study of biblical chronology and alchemy, but most of his work in those areas remained unpublished until long after his death. In his later life, Newton became president of the Royal Society. He also served the British government as Warden and Master of the Royal Mint. Isaac Newton was born according to the Julian calendar (in use in England at the time) on Christmas Day, 25 December 1642 (NS 4 January 1643), at Woolsthorpe Manor in Woolsthorpe-by-Colsterworth, a hamlet in the county of Lincolnshire. He was born three months after the death of his father, a prosperous farmer also named Isaac Newton. Born prematurely, he was a small child; his mother Hannah Ayscough reportedly said that he could have fit inside a quart mug. When Newton was three, his mother remarried and went to live with her new husband, the Reverend Barnabus Smith, leaving her son in the care of his maternal grandmother, Margery Ayscough. The young Isaac disliked his stepfather and maintained some enmity towards his mother for marrying him, as revealed by this entry in a list of sins committed up to the age of 19: "Threatening my father and mother Smith to burn them and the house over them." Newton's mother had three children from her second marriage. Although it was claimed that he was once engaged, Newton never married. From the age of about twelve until he was seventeen, Newton was educated at The King's School, Grantham which taught him Latin but no mathematics. He was removed from school, and by October 1659, he was to be found at Woolsthorpe-by-Colsterworth, where his mother, widowed for a second time, attempted to make a farmer of him. Newton hated farming. Henry Stokes, master at the King's School, persuaded his mother to send him back to school so that he might complete his education. Motivated partly by a desire for revenge against a schoolyard bully, he became the top-ranked student, distinguishing himself mainly by building sundials and models of windmills.